Decorate designs with the sterling silver Celtic charm. This round charm features a cut-out Celtic knot design. It's a great option for St. Patrick's Day designs or for any project you want to infuse with Irish history. The back of the charm is plain. A small loop is attached to the top of the charm, so you can easily add it to designs. Dangle it from necklaces, bracelets and earrings. It features a versatile silver shine that will work anywhere. Celtic beauty fills this charm. This charm features a celtic knot design with an interwtined scalloped shape. Celtic knots appear endless, highlighting the Celtic belief in the interconnectedness of life and eternity. The same design can be seen on the back of the charm, so it will look great from any angle. Use the loop at the top of the charm to add this piece to your necklaces, bracelets, and even earrings. It features a versatile silver shine that will work anywhere. This item is hypo-allergenic and nickel-free. Create enchanting style with the antique copper-plated brass Celtic chain. This chain features bold oval-shaped links. The links are not soldered, so they can be opened to add dangles and more. The surface of the links is decorated with swirling lines, giving them a Celtic look. This chain is a great way to add texture to designs in a subtle way. It features a deep copper warmth. Showcase a symbol of devotion in your designs with the TierraCast antique silver-plated pewter large cladding ring charm. This circular charm features two hands surrounding a crowned heart, which forms the cladding, a traditional Irish symbol. The hands represent friendship, the heart represents love and the crown represents loyalty. The design is displayed on both sides of the charm. This charm is large in size and full of detail. Use it as a pendant in a necklace designs. 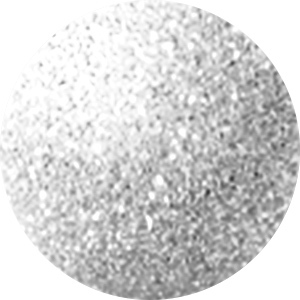 It features a soft silver shine full of versatility. Bring intricate style to your designs with this TierraCast charm. This circular charm features a Celtic knot design decorating the surface. You can use it in St. Patrick's Day designs or any other elegant look influenced by Celtic style. A loop at the top of the charm makes it easy to add to designs. Dangle it in necklaces, bracelets, and even earrings. It features a warm copper glow full of rich style. This sterling silver triangular charm features the Celtic knot design that has been used for over 1,500 years as a symbol of the connections in nature. The combination of the charm's silver brilliance and ornate design results in a gorgeous work of art. Use this silver charm in a bracelet or hang it from a necklace for an adorably subtle touch. This charm is also perfect for embellishing cell phones, scrapbooks, and other accessories. Add a symbol of devotion to your designs with the TierraCast antique silver-plated pewter small cladding ring charm. This circular charm features two hands surrounding a crowned heart, which forms the cladding, a traditional Irish symbol. The hands represent friendship, the heart represents love and the crown represents loyalty. The design is displayed on both sides of the charm. This charm is the perfect size for dangling from bracelets, earrings or even necklaces. It features a versatile silver shine that will work with any color palette. Spice up designs with help from the TierraCast antique copper-plated pewter small triskele charm. This charm features a circular frame around three interlocked spirals coming from the center of the charm. These spirals are known as a triskele, an ancient symbol associated with the Celts that can be used as a sign of eternity and faith. The design is the same on both sides of the charm. You can easily attach this versatile charm to bracelets, necklaces and even earrings. It features a warm, coppery glow, perfect for pairing with emerald greens. Accent designs with the enchanting style of the TierraCast antique silver-plated pewter Celtic drop charm. This charm features a long and narrow triangular drop shape. It is decorated with a Celtic knot pattern on both sides. The loop at the top of the charm makes it easy to add to designs. Use it in earrings, or as a small pendant in a delicate necklace. Pair it with green tones for a project inspired by St. Patrick's Day. This charm features a versatile silver shine. Bring a little Celtic charm to your looks with the TierraCast Celtic Heart necklace kit. This kit includes everything you need to make a 20-inch necklace featuring a knotted cord design and a Celtic heart charm dangling from the knot. Supplies include a Celtic heart charm, a Celtic S hook, jump rings and blue and brown knotting cord. In order to complete this project you will need scissors, two pairs of chain or flat nose pliers, super glue, two straight pins and a beading mat. The included instructions make it easy to complete this design. Give this kit as a gift, use it at your next beading party or pick it up as a quick project for yourself. Bring intricate style to your designs with this TierraCast charm. This circular charm features a Celtic knot design decorating the surface. You can use it in St. Patrick's Day designs or any other elegant look influenced by Celtic style. A loop at the top of the charm makes it easy to add to designs. Dangle it in necklaces, bracelets, and even earrings. It features a regal golden shine full of classic beauty.